“It’s like a 24-hour, seven-day-a-week obsession. Every second, every minute, every hour, every day … all they’re looking for is something to be outraged about as it relates to the president,” Hannity told Boyle and co-host Kaya Jones. 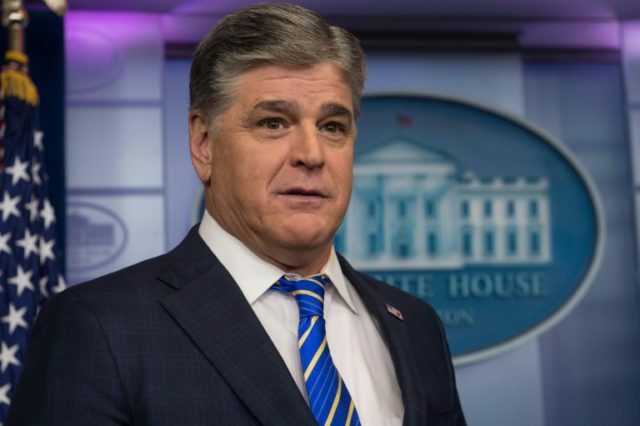 CNN and other left-wing journalists’ continual outrage peddling, in Hannity’s view, came at the expense of the coverage of the economic boom over which President Donald Trump has presided, including record low unemployment for several demographic groups and the return of manufacturing jobs once purported to be irretrievable by Democrats. Hannity saved some ammunition for the Democrats. “They want to impeach the president, they want to keep Obamacare, they want to get rid of ICE and [have] open borders … they want all these investigations into the Deep State to stop,” he said about a possible return of House Minority Leader Nancy Pelosi as Speaker of the House. Breitbart News Saturday airs on SiriusXM Channel 125, The Patriot Channel, Saturdays from 10:00 a.m. to 1:00 p.m. Eastern.